Now in Europe for his inaugural tour of that continent, Reggae firebrand Nesbeth was in top form over the weekend as he made his first stop at the much publicized Reggae Jam Festival held at Bersenbrück, Germany. 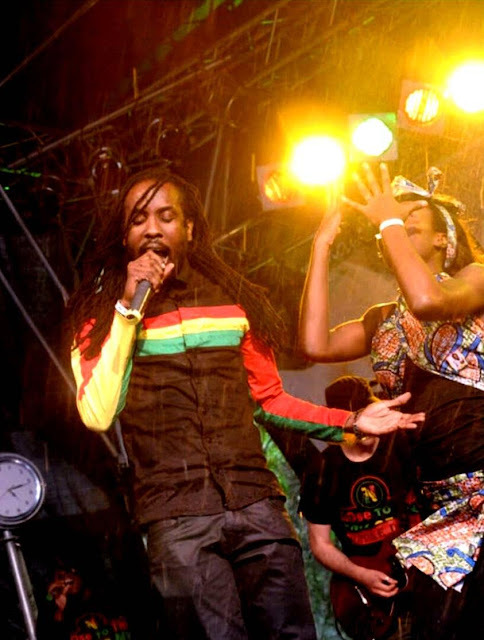 Despite it being his first time performing on the three day festival, which runs from July 24 – 26, the Reggae crooner was a man on a mission and validated why he was named among the new generation of Reggae ambassadors by MTV IGGY. Clad in a black ensemble adorned with the Rastafarian colours the ‘Ole Gangalee’ singer took the stage accompanied by his back-up singers and a triad of dancers to much fanfare reeling off classics such as ‘Board House’, ‘So Let It Be’, ‘Guns Out This Morning’ among others. Midway his set it began to rain but that did very little to dampen the spirits of the thousands in attendance who stood their ground as the Jamaican unravelled a plethora of songs from his expanding catalogue much to their delight. Nesbeth also used the opportunity to introduce some new material from his current EP such as Hundu Lay Lay, Marijuana and Jah Jah Handpick along with the title track ‘Taste Victory’. The EP is available on iTunes and other digital platforms with distribution via Zojak Worldwide. Nesbeth’s next stop on his tour will be in Geel, Belgium this Saturday for the 2015 staging of Reggae Geel.